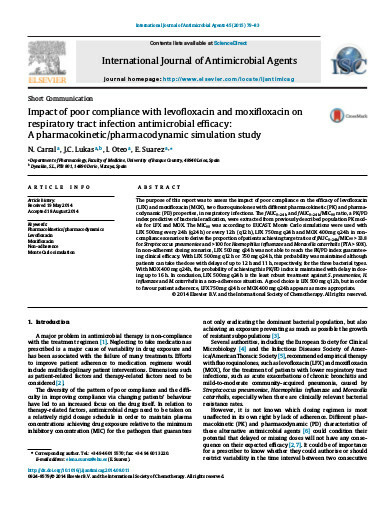 Impact of poor compliance with levofloxacin and moxifloxacin on respiratory tract infection antimicrobial efficacy: a pharmacokinetic/pharmacodynamic simulation study. 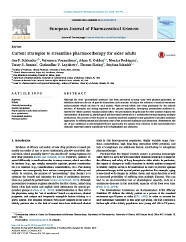 Carral N, Lukas JC, Oteo I, Suarez E.
Int J Antimicrob Agents. 2015 Jan;45(1):79-83. doi: 10.1016/j.ijantimicag.2014.08.011. Epub 2014 Oct 5. 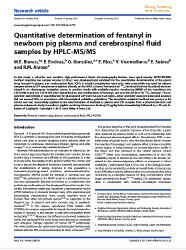 Evaluation of fentanyl disposition and effects in newborn piglets as an experimental model for human neonates. Rey-Santano C, Mielgo V, Valls-I-Soler A, Encinas E, Lukas JC, Vozmediano V, Suárez E.
PLoS One. 2014 Mar 4;9(3):e90728. 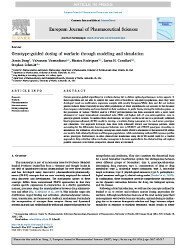 doi: 10.1371/journal.pone.0090728. eCollection 2014. 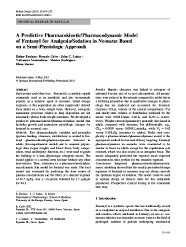 A predictive pharmacokinetic/pharmacodynamic model of fentanyl for analgesia/sedation in neonates based on a semi-physiologic approach. 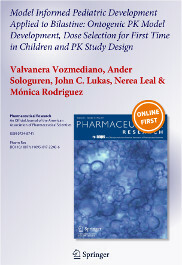 Encinas E, Calvo R, Lukas JC, Vozmediano V, Rodriguez M, Suarez E.
Paediatr Drugs. 2013 Jun;15(3):247-57. doi: 10.1007/s40272-013-0029-1. Integration of preclinical and clinical knowledge to predict intravenous PK in human: bilastine case study. Vozmediano V, Ortega I, Lukas JC, Gonzalo A, Rodriguez M, Lucero ML. 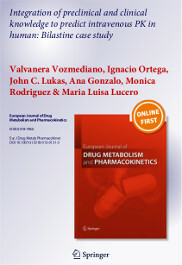 Eur J Drug Metab Pharmacokinet. 2014 Mar;39(1):33-41. doi: 10.1007/s13318-013-0131-3. Epub 2013 Apr 26.
we wish to help you.